Draft: 2011, Pittsburgh Pirates, 3rd rd. Alexander (Alex) Ross Dickerson…son of Ross and Carol...has one sister, Kelsie, who played soccer at UC Berkeley from 2013-15...graduated from Poway High School in nearby Poway, Calif., where he was named All-San Diego Division I Player of the Year by the San Diego Baseball Advisory Committee and All-San Diego by the Union-Tribune… also named All-District 8 by American Baseball Coaches Association at Poway High…also picked up First Team AllPalomar League honors…attended Indiana University, where he hit .367 (79-for-215) with 10 doubles, nine home runs, 49 RBI, 33 runs scored and a .540 slugging percentage in 54 games as a senior…named the First-Team All-Big Ten Designated Hitter in 2011…was the 2010 Big Ten Triple Crown winner (.419 average, 24 home runs, 75 RBI) and First-Team All-American…ranked tied for first in school history in career home runs (47)… was a unanimous 2010 selection as Big Ten Player-of-the-Year…became the first player in conference history to pick up Freshman-of-theYear and Player-of-the-Year honors in consecutive years…has a dog named Lucy...favorite all-time movie is Forrest Gump...signed by Pirates' scout Jerry Jordan. Missed the entire season after undergoing Tommy John surgery in March during Spring Training. Missed the entire season after undergoing surgery to remove bulging disc material from his lower back on 6/28. Split the season between Triple-A El Paso and the Padres in 2016, playing in 84 games total and making 67 starts, with 65 in left field and two as the designated hitter...Started the season with Triple-A El Paso and was recalled on 5/2 and optioned back to the Chihuahuas on 5/14...recalled again from El Paso on 6/28 and remained with the Major League club for the remainder of the season...Played in 62 total games for the Chihuahuas and hit .382 (83-for-217) with 16 doubles, three triples, 10 home runs, 51 RBI and 14 walks....Per STATS, became the first Padre to ever hit a pinch-hit grand slam for his first career home run on 5/10 at CHC and just the sixth Padre to ever hit a grand slam for his first career home run...Became the only Padres rookie in team history to homer in four consecutive games from 7/24-27, just the 14th time in Padres history that a player has hit a home run in four-straight games...Had a career-high three hits in back-to-back games (7/24 at WAS and 7/25 at TOR)...His home run on 7/25 at the Rogers Centre traveled to the fifth deck, 20 years ago to the day that bench coach Mark McGwire also hit a home run to the same level on 7/25/96...Hit .254 (49-for-193) with nine of his 10 home runs coming against right-handed pitching compared to a .267 (16-for-60) mark against lefties...At home in 2016 he hit .294 (32-for-109) in 40 games compared to a .229 (33-for-144) mark in 44 games on the road...As a pinch hitter he hit .313 (5-for-16) with two home runs and six RBI...Hit safely in 14 of his 15 games with a plate appearance from 7/24-8/13 and hit .364 (20-for-55) with six doubles, five home runs, 12 RBI, three walks and two stolen bases over that span...Over 22 games in July, hit .303 (20-for-66) with four doubles, five home runs, 13 RBI and 12 runs scored. Spent the majority of the season with Triple-A El Paso, earning 2015 Pacific Coast League Rookie of the Year honors while also making his Major League debut for San Diego...Recalled for his first career Major League call-up on 8/6 when Will Venable was placed on the paternity leave list…made his Major League debut that day with a pinch-hit appearance at MIL....Collected his first career hit the next day on 8/7 with a pinch-hit single in the bottom of the 11th inning vs. PHI....Optioned back to Triple-A El Paso the next day on 8/8 before being recalled for a second stint on 9/2, spending the remainder of the season with the Major League club....Over 125 games for El Paso, hit .307 (141-459) with 36 doubles, nine triples, 12 home runs, 71 RBI and 82 runs scored, leading the Chihuahuas in hits, doubles and triples in 2015....Named to the 2015 All-Pacific Coast League team following the season…also named the Pacific Coast League Rookie of the Year by the PCL following the season...Owned the PCL's 10th-best batting average while ranking third in the PCL with 82 runs, fourth in extra-base hits with 57 and tied for second in triples with nine…award was the second Rookie of the Year award for his career, also winning the award from the Eastern League in 2013 as a member of the Altoona Curve (Pittsburgh)…was the second Padres minor leaguer to win the PCL award, joining Sean Burroughs who won the award in 2001. Played in 41 games, including 34 with Double-A San Antonio, missing a majority of the season with a left ankle injury...Suffered a sprained ankle late in Spring Training…underwent surgery on his left heel later on to remove a bone cyst on 4/3...Began a rehab assignment with the Rookie-Level AZL Padres on 7/16, playing in four games before transferring his rehab to Eugene on 7/20 for three games...Reinstated from the DL on 7/24, joining San Antonio where he hit .321 (44-for-137) over 34 games. Spent the entire season with Double-A Altoona, earning Eastern League Rookie of the Year and postseason All-Star honors after hitting .288 (130-for-451) with a career-high 17 home runs and 68 RBI...Named Eastern League player of the week twice in 2013, for the weeks of July 8-14 and July 22-28. In his fi rst full professional season, spent the entire campaign with Single-A Bradenton, being named the Florida State League's Player of the Year after hitting .295 (144-for-488) with 13 home runs and 90 RBI...Was also named an Organization All-Star by MiLB.com following the season and a FSL post-season All-Star...Became the first player in Marauders history to be named the FSL Player of the Year...Led all FSL fi rst basemen in double plays (107)…fi nished second in the FSL in RBI and third in hits and total bases (220). Made his professional debut with Single-A State College, playing in 41 games for the Spikes after signing as a third-round selection in the First-Year Player Draft...Finished second among all short-season players with 16 doubles for State College. December 13, 2018 San Diego Padres signed free agent OF Alex Dickerson to a minor league contract and invited him to spring training. December 13, 2018 LF Alex Dickerson assigned to El Paso Chihuahuas. November 2, 2018 LF Alex Dickerson elected free agency. November 2, 2018 San Diego Padres sent LF Alex Dickerson outright to El Paso Chihuahuas. March 28, 2018 San Diego Padres placed LF Alex Dickerson on the 60-day disabled list. Tommy John surgery. November 6, 2017 San Diego Padres activated LF Alex Dickerson from the 60-day disabled list. April 7, 2017 San Diego Padres transferred LF Alex Dickerson from the 10-day disabled list to the 60-day disabled list. Lower back tightness. April 1, 2017 San Diego Padres placed LF Alex Dickerson on the 10-day disabled list retroactive to March 30, 2017. June 28, 2016 San Diego Padres recalled LF Alex Dickerson from El Paso Chihuahuas. June 28, 2016 San Diego Padres activated LF Alex Dickerson. May 14, 2016 San Diego Padres optioned RF Alex Dickerson to El Paso Chihuahuas. May 2, 2016 San Diego Padres recalled Alex Dickerson from El Paso Chihuahuas. March 21, 2016 San Diego Padres optioned RF Alex Dickerson to El Paso Chihuahuas. September 26, 2015 RF Alex Dickerson assigned to Navegantes del Magallanes. September 2, 2015 San Diego Padres recalled Alex Dickerson from El Paso Chihuahuas. August 8, 2015 San Diego Padres optioned RF Alex Dickerson to El Paso Chihuahuas. August 6, 2015 San Diego Padres recalled Alex Dickerson from El Paso Chihuahuas. March 18, 2015 San Diego Padres optioned RF Alex Dickerson to El Paso Chihuahuas. November 20, 2014 San Diego Padres selected the contract of Alex Dickerson from San Antonio Missions. 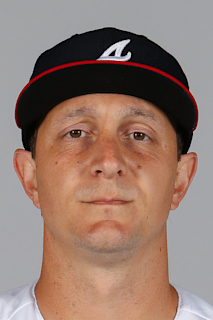 July 23, 2014 OF Alex Dickerson assigned to San Antonio Missions from El Paso Chihuahuas. July 20, 2014 El Paso Chihuahuas sent LF Alex Dickerson on a rehab assignment to Eugene Emeralds. July 16, 2014 El Paso Chihuahuas sent RF Alex Dickerson on a rehab assignment to AZL Padres. July 16, 2014 sent RF Alex Dickerson on a rehab assignment to AZL Padres. April 3, 2014 El Paso Chihuahuas placed OF Alex Dickerson on the 60-day disabled list. November 25, 2013 San Diego Padres traded LF Jaff Decker and RHP Miles Mikolas to Pittsburgh Pirates for RF Alex Dickerson. May 28, 2013 Altoona Curve activated OF Alex Dickerson from the 7-day disabled list. March 29, 2013 1B Alex Dickerson assigned to Altoona Curve from Bradenton Marauders. March 22, 2013 1B Alex Dickerson assigned to Pittsburgh Pirates. April 3, 2012 Alex Dickerson assigned to Bradenton Marauders from State College Spikes. July 15, 2011 Alex Dickerson assigned to State College Spikes from Pittsburgh Pirates. July 14, 2011 Pittsburgh Pirates signed OF Alex Dickerson.